This past Sunday we took some time out to celebrate the men in our lives. And on our special Father’s day episode we had a great conversation with our Dad about the challenges of raising a family, what it was like coming to the US, and how he’s stepping into his role as a Grandfather. But Papa Lopez definitely dropped some gems on us even though he didn’t think he had any insight-- so modest! He gave us some great marriage advice, the kind that can only be learned under fire. Although marriage rates have declined significantly from 72% in 1960 to just 50% today, there are still a plenty of people taking the plunge according to the Pew Research Center. Saying that marriage is hard, is an understatement but our Dad says that it’s never going to be easy. And that working things out, keeping your wife happy and putting your family first is a must. “We are no longer the owner of our lives when we have kids,” he says. One of the main takeaways from this episode was that your family is one and needs to be dealt with as such. 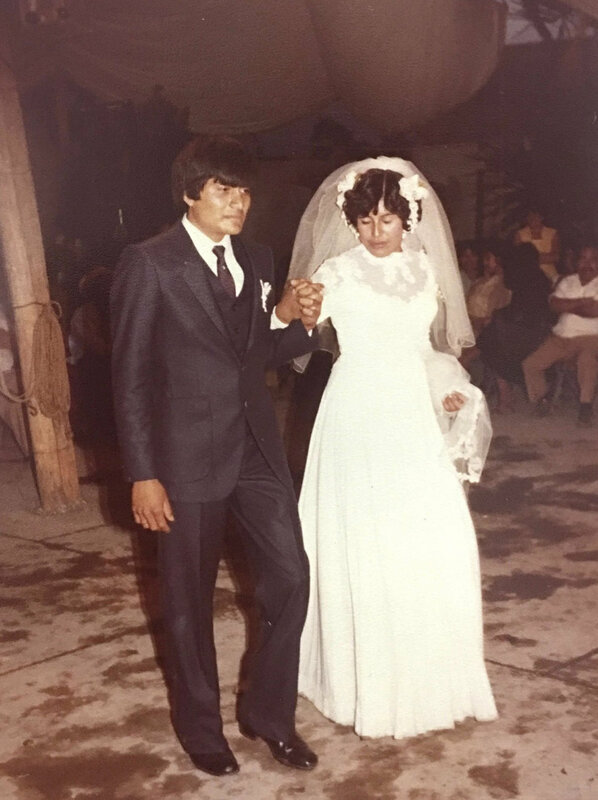 Although Dad admits that our Mom is primarily responsible for holding the family together through the tough times, he was always willing to work on his marriage because he wanted to do what was best for the family as a whole. Although our Dad admits he wasn’t always the best husband, he recognizes the sacrifices our Mom had to make for the sake of their marriage and us kids. Even though he wishes some things had gone differently it’s clear that it was their ability to anticipate each others needs and see the big picture, that allowed our parents to stay together. One of the most heartwarming things is our Dad’s sincerity in admitting he didn’t always say or do the right thing--but really, who does? Nobody is perfect, we all make mistakes but we have to be willing to take responsibility and work hard on making it right. He said that he’s making it right through his relationship with his grandchildren, who he loves with all his heart. And also by being open and honest with us about the things he knows he messed up on. Tune into our Father’s Day episode for some great stories from our childhoods and for more advice from our dad!